If your hospital is experiencing high turnover among your newly licensed Nurses, this article may give you an idea of why they’re leaving and areas where you can improve your work environment. Prior research on newly licensed nurses tended to focus on organizational turnover, where a nurse leaves the hospital or organization. 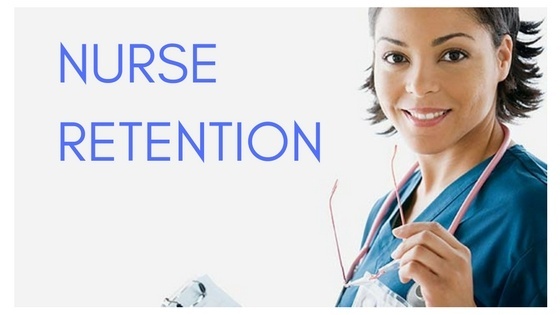 However, there is scant literature on internal or unit-level turnover, which occurs when a nurse leaves their current assignment to take up new roles or positions within the organization or hospital. Recently, Dr. Kovner led a team of researchers at NYU Meyers and the School of Nursing at SUNY Buffalo in conducting a study to fill in the gaps. Published in the International Journal of Nursing Studies, the study of a nationally representative sample of new nurses working in hospitals, sought to better inform unit-level retention strategies by pinpointing factors associated with job retention among newly licensed nurses. The researchers looked to bolster the existing evidence on internal turnover to determine precursors to remaining on the same title and unit-type from the first to the second year of employment. The nurses (n=1,569) were classified into four categories based their unit and title retention. 1090 nurses (69.5%) remained in the same title and unit-type at wave two, while 129 (8.2%) saw a change in title, but not in unit-type. A similarly small group of 185 (11.8%) had no change in title, but changed unit-types, while 165 (10.5%) had a change in their title and unit-type. In addition to collecting the new nurses’ demographical data, Dr. Kovner and her team assessed their perceptions of their work environment in both surveys. “In doing this we were able to examine the changes in work environment perceptions over time between nurses who remained in the same unit and title to those who changed unit and/or title,” said Dr. Kovner. Upon analysis, the researchers found five factors most strongly associated with retention: holding more than one job for pay (negative), first professional degree was a baccalaureate or higher, negative affectivity, greater variety and autonomy, and better perceived RN-MD relations, all positively related. “Our results point to the variables on which managers can focus to improve unit-level retention of new nurses,” said Kovner. Have more questions about employee retention? Click below to ask one of our Nurse Leaders! Funding. Funding for this research was provided by the Robert Wood Johnson Foundation.